The scenic run along Richmond riverside and around the Old Deer Park raises money for three charities – Bliss, Help for Heroes and Cancer Research UK. 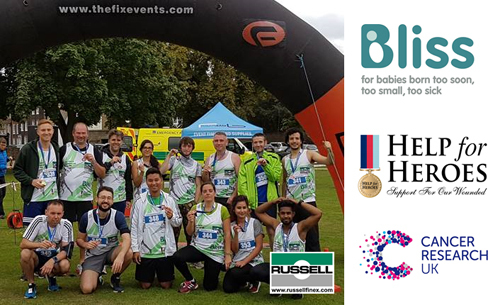 Fourteen members of the Russell Finex team completed the event, raising over £400 in the process through donations from those taking part, as well as Russell Finex colleagues, family and friends. The company – a global leader in sieving and filtration equipment - is committed to supporting the local community through fundraising events and other initiatives, such as the recent Sir Mo Farah mural in Feltham.